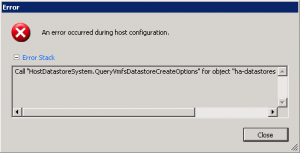 UPDATE Sept 2015 – there is new functionality in the vSphere Web Client (v6.0u1) that allows you to delete all partitions – good info via William Lam’s website. Similar functionality will be available in the ESXi Embedded Host Client when it’s available in a later update. 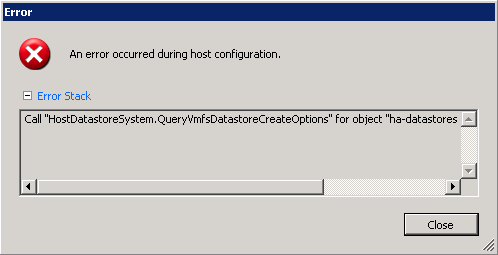 UPDATE March 2015 – some people are hitting a similar issue when trying to reuse disks previously used by VSAN. The process below may still work but there are a few other things to check, as detailed here by Cormac Hogan. GPT partitions created by Mac OSX, ZFS, W2k8 r2 x64 etc. Microsoft have a good explanation of GPT.